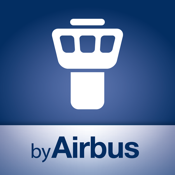 Airbus ProSky organizes its first Annual ATM Modernization Symposium where Airlines, Air Navigation Services Providers, Airports, Civil Aviation Authorities and other key industry stakeholders will gather around the leading aircraft manufacturing company and its Air Traffic Management subsidiary – Airbus ProSky. This symposium will take place in Abu Dhabi from 7th to 10th April 2013. For this event we wanted to create an application and a WebApp. Indeed, many people have smartphones or tablets. This application is simple and offers the conference program, biographies of speakers, a QCM and a page of contacts and links to our website.